Fabian Cancellara was born on the 18th of March in the year 1981. He is a professional road cyclist and races for the UCI ProTeam Leopard Trek. Fabian Cancellara is a Swiss cyclist. He specializes in time trial and has won the World Time Trial Championship four times. He is also the current gold medal winner. 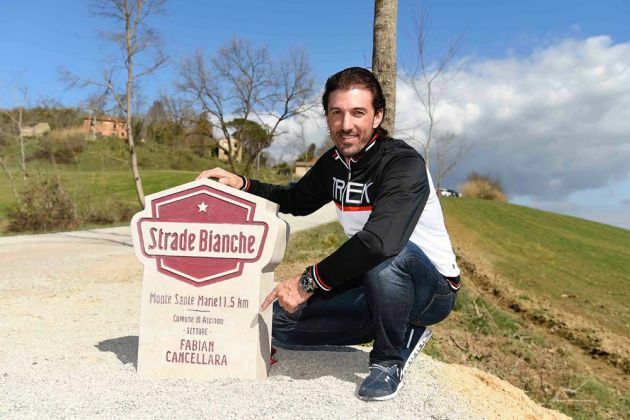 Fabian Cancellara has won the Paris-Roubaix, the Tour of Flanders, the Tirreno-Adriatico, the Milan-San Remo, the Monte Paschi Eroica and the Tour de Suisse. He has also won four prologues of the prestigious Tour de France. Fabian Cancellara was born near Berne in Switzerland to a set of Italian parents. He found an old bike at his family garage and fell in love with the sport of cycling. He gave up football in order to focus on cycling. His skills in this sport began to develop from a very early stage and dominated the junior cycling events in Switzerland. His coach, Yvan Girard, said that Fabian Cancellara was much better than any other junior cyclist in time trials. He also went on to win the junior World Time Trial Championship in the years 1998 and 1999. When he was 19, he placed second at the prestigious 2000 Under 23 World Time Trial Championship. After this brilliant performance, he turned professional and started racing for Mapei-Quick Step. Fabian Cancellara started off riding as a stagiaire for Mapei-Quick Step in the year 2000. His first professional victory came in the year 2001 where he won the prologue of the Tour of Rhodes. He was described as the future Miguel Indurain. He won several individual time trial events and achieved eleven victories. At the end of the 2002 season, Fabian Cancellara joined the team Fassa Bortolo. He won the prologues at the Tour de Suisse and the Tour de Romandie. He also finished in the fourth place at the classic Paris-Roubaix. Fabian Cancellara also won the prologue at the prestigious Tour de France, thus winning the yellow jersey as he finished first ahead the likes of Lance Armstrong. He kept this jersey for two stages. He then went on to win at the Tour de Luxembourg, an individual time trial. He also registered victories at the Tour of Qatar and at Setmana Catalana. At the start of the 2011 season, Fabian Cancellara was considered as the favourite to win the Tour of Flanders, E3 Harelbeke and the Paris-Roubaix. He switched to Leopard Trek and went on to win the E3 Harelbeke all by himself and thus earned the nickname ‘Superman’. This was because of his unstoppable and unnatural power. Fabian Cancellara got involved in a controversy as a YouTube video suggested that he had an electric motor fit to his cycle. He dismissed theses allegations as extremely stupid. This video was edited by Davide Cassani, a cycling commentator and a former cyclist himself. The UCI did not investigate any particular team or riders after these allegations were made but did say that they’ll review the existing bicycle inspection system in order to prevent fraudulent practices.